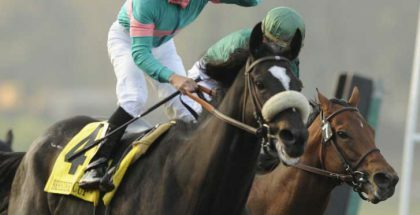 The 2010 Horse of the Year, Zenyatta, gave birth to a beautiful 130-pound colt last night. The Bernardini colt arrived around 10:10 p.m. in Lexington, Kentucky. Owners Jerry and Ann Moss were present for the arrival and were thrilled to see mother and colt snuggling in the comfy stall bedding all night. Zenyatta welcomes her baby colt on March 8, 2012. Zenyatta’s unnamed colt is said to have speckled polka-dotted feet and a white star on his snout, just like his mom. The dark brown colt’s arrival has been one of the most anticipated births in recent memory. This is Zenyatta’s first foul and the birth was said to be flawless. Zenyatta, an 8-year-old Street Cry mare, was first breed on February 23, 2011 but lost the pregnancy in March due to complications. In April 2011, Zenyatta bred again with Darley stallion Bernardini, which resulted in the birth of the new baby colt born last night. Zenyatta is the second female ‘Horse of the Year’ to give birth this year. First being the 2009 Horse of The Year Rachel Alexandra. She gave birth to a 125-pound Curlin colt on January 22, 2012. Zenyatta is the only female so far to win the Breeders’ Cup Classic. She did that in 2009 on her way to her title as the year’s champion older female. Throughout her career, Zenyatta won 19 of her 20 starts, falling just short in the 2010 Breeders’ Cup Classic, her last start, when beaten a head by Blame. 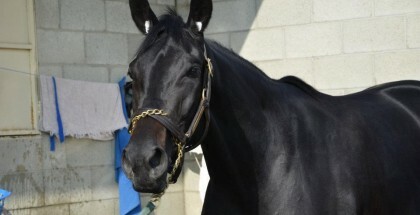 Zenyatta retired in November 2010 with earnings of $7,304,580. 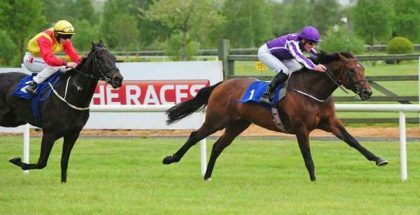 She earned Eclipse Awards as champion older mare for three consecutive years, from 2008 to 2010, in addition to her Horse of the Year title in 2010.